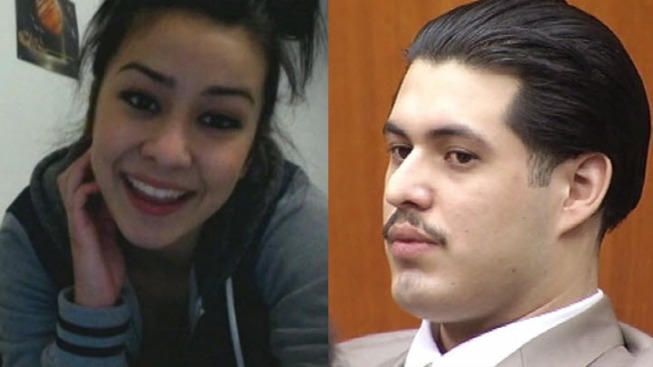 A battle of experts took place Monday in the Sierra LaMar murder trial as both sides focused on a strand of hair found in the defendant's car. The prosecution had its crime lab analyst testify about the hair that was found on a rope inside Antolin Garcia Torres' car, and the defense countered with questions about whether the critical piece of evidence was compromised. It's been nearly five years since 15-year-old Sierra vanished after leaving her Morgan Hill home on her way to school. Garcia Torres is charged with murdering the teen, even though her body has never been found. The Santa Clara County crime lab analyst that took the stand Monday testified that the hair found on a rope recovered from the back of Garcia Torres' car contained Sierra's DNA. It's critical to the prosecution's case because Garcia Torres insists he never met Sierra, and his defense attorneys say the girl is a runaway and still alive. "If the defense can show that the evidence was cross contaminated, that would be a severe problem for the prosecution," legal analyst Steven Clark said. The crime lab analyst also testified he found no fibers in the car associated with Sierra's clothing. And jurors asked several questions, mostly about the rope and fibers found in the car. In the months following Sierra's disappearance, hundreds of volunteers searched for the teen. Mary Doering, of Campbell, was part of that search from the beginning and has been at the trial nearly every day. "I want to see justice," Doering said. "Sierra is everyone's daughter, and I just want to see justice and be here to help the family." Sierra's mother Marlene also was in court Monday, listening to the testimony. If convicted, Garcia Torres faces the death penalty.